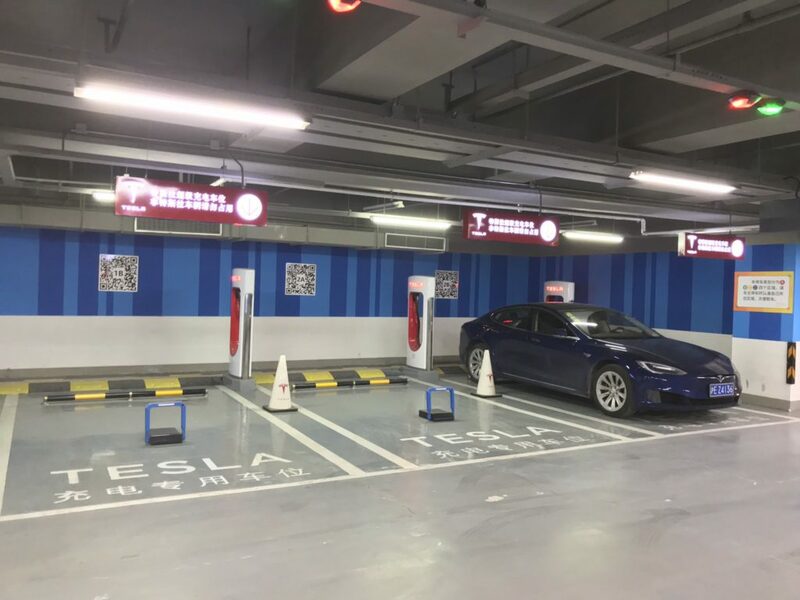 Tesla China has come up with a creative solution for the Supercharger parking by internal combustion engine vehicles (usually called ‘ICE-ing’) — most of the new Superchargers built in China now have a blue bar that blocks the vehicles from parking at the charging spot (photo above, more photos below). 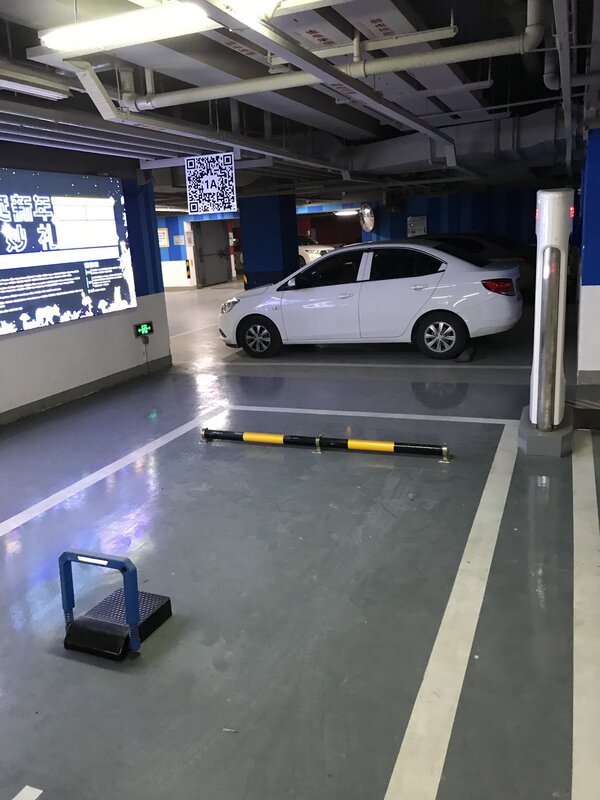 Taking over the charging spots at electric vehicle charging stations or Tesla Superchargers is a wide-spread problem worldwide, but we have seen a solid approach to tackle the problem by Tesla China for the first time. Recently there have been incidents in the United States where large pickup trucks intentionally blocked a Tesla Supercharger and even threatened Tesla owners verbally. 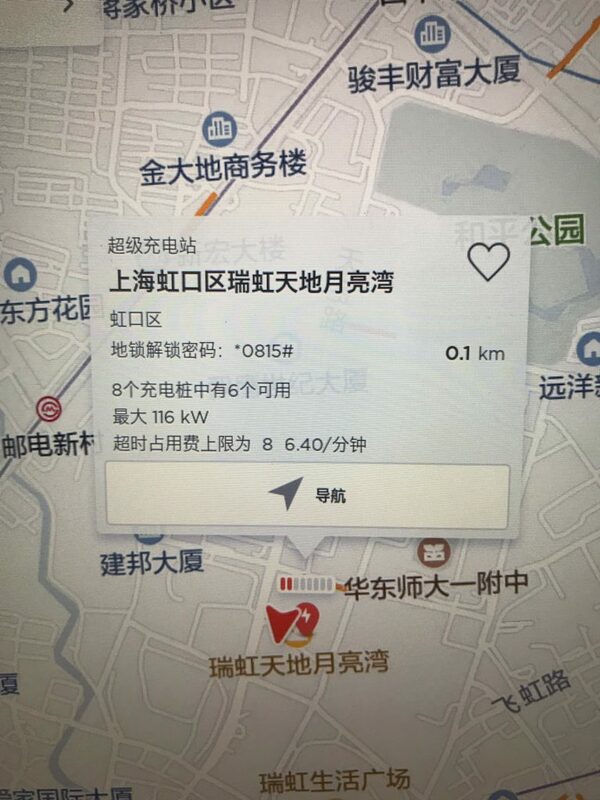 Keeping these issues in sight Tesla China’s effort to de-ICE their Supercharging stalls is to be appreciated. 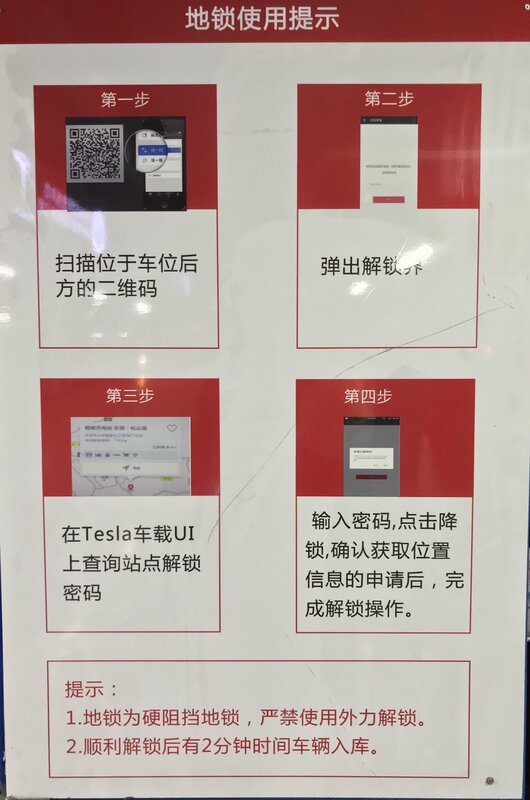 Tesla owners approaching the Supercharger spot just need to have a WeChat app on their mobile phone to scan the QR Code visible on the wall behind the charging stall and the iron bar colored in blue will be lowered down to access the charging point. Click/Tap images for high-res versions. Above photos have been shared by JayinShanghai via Twitter and he says that it only less than a minute to go through the process of unlocking the Supercharger stall using the WeChat app, we think this is not inconvenient when comparing the stall or entire station blocked by ICE cars for prolonged periods. The Supercharger blocking bar is not currently accessible via the in-car touchscreen or the Tesla mobile app but hopefully, this function should already be in the works. Let’s see when Tesla brings this feature to the rest of the world especially North America where the ICE-ing issue is gaining traction with time — for now, if you have a Tesla Model X and you’re desperate enough, you can even tow a pickup truck out of the Supercharger station like in this video. In the United States we would have to make the bar a lot taller due to the pickup trucks that are being used to ice the stations. Great idea let’s get it on the Tesla app and get them installed. Yep, China does not have as much Pickup Trucks, agree that the blocker bar should be bigger in U.S. as everything in the United States is bigger than China!